This maths scheme is written specifically for Scotland to help implement the recommendations from "Improving Mathematics Education 5-14". It provides an increasing pace of progression; end of level assessment; oral and mental calculation; integral homework; and support for planning. For staff planning maths lessons there are "Organising and Planning Guides, which provide matching charts to "Mathematics Education 5-14" block planners. In the medium and short term the "Teaching File" provides a schematic showing the structure and sequence of teaching, with pages and components needed, and a summary for each mathematical topic. Level A and Level B planning guides show a detailed match between 5-14 attainment targets and the Units in SHM 1, 2 and 3. On introducing maths lessons, "Tune-in" introduces a new section of work, reinforces previous learning, and can be used as pre-teaching assessment "Starters" and other mental activities offer specific activities linked to particular sections of maths, and generic activities for use with a range of different operations. Within the "Teaching File" a broad range of interactive teaching activities give structured progression through each topic. The pupil activities follow the teaching and provide consolidation, practice and extension work. The "Teaching File" also offers suggestions for a clear follow-up to the main points covered in each lesson: games and activities following on from the pupil materials; extension material; int roduction to a Home Activity; and discussion points. 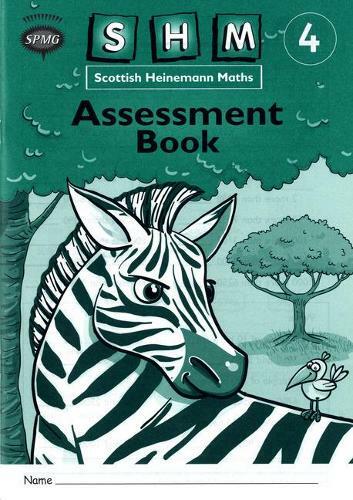 "Scottish Heinemann Maths" provides assessment opportunities linked to the 5 to 14 Guidelines through a range of components: "Tune-ins", "Check-ups", "Round-ups" and "Activity books". The pupil resources comprise activity books, text books and extension books. The activity books reinforce fluency of number facts and mental calculation strategies, using appropriate language to support children's learning. The textbooks offer a structured development of each topic, pr ovide problem solving activities and encourage independent recording. Extension textbooks challenge the more able children.